I have often been asked about the EB5AGV relay modification for RL02 in the FT-102. I am not happy with this modification for several reasons. I responded to a fellow ham in an email about this and thought it would be a good idea to put that letter and photo up on my Yaesu FT-102 website for your enjoyment and education. I hope you enjoy the explanation and photo. Yes, I have seen the EB5AGV mod for RL02 several times in radios that I have worked on and it is a mess. I have enclosed a side by side photo of the trace side of the board for comparison. Because the pinout configuration of that relay is different from the original, several traces have to be cut and rerouted. This crosses sensitive RF lines and decreases the performance characteristics of the radio. I am sure you know that the component and trace placements on the board are not a matter of happenstance but rather are placed in certain ways after much experimentation by the designer to improve crosstalk and non wanted signal mixing. The EB5AGV modification changes the benefits of the manufacturers design by moving the lines and crossing the lines. When I measure blocking dynamic range of an unmodified radio I get -127 dBM at 20 KC spacing. When I measure this on the modified radios I get -124 dBM which is a halving of the figure. Blocking dynamic range is a measure of front end overload by adjacent strong signals. In addition it is a very hard modification for most hams to do. The plastic socket has to be soldered and wired and the pins are on 1/10 inch distances. If you use anything but a fine pencil iron and do not have expert proficiency at soldering and perhaps your vision isn't like a teenager, you will make a mess of this modification. In addition most hams use soldering irons that are too hot and lift the traces. The mod does work but at an expense of performance. But my real complaint about it is that he makes it look easy and a lot of guys will try it. When they get into trouble they will be left with a cut board with lifted traces and will stop working on it out of frustration. And presently this is probably the main reason that the FT-102 goes to the radio graveyard. I hope you can see the cause for my concern that this is on the web. 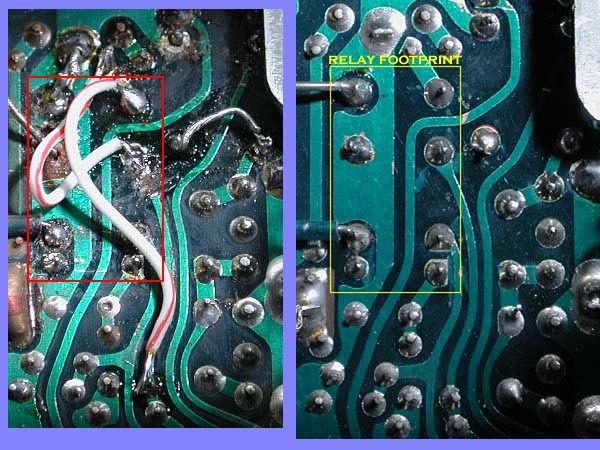 There is one other alternative to the RL02 Problem and that is using a small signal relay made by Teledyne corporation. This relay is enclosed in a metal can and looks like a transistor with eight leads coming out of it. Small signal relays are a special type and there is no degradation of the contact resistance over time if only small signals are used. I like this repair since the relay is metal enclosed and shielded from RF. It is also a good choice because a socket does not have to be prepared and there is no cutting and rerouting of the traces on the board so it is an easy modification. Unfortunately, some twisting of the lead wires has to be done since the pin out configuration is not the same but I figure the loss here would be compensated for by the fact that the relay is enclosed in metal and shielded from stray RF. The disadvantage is that the relay is ~$30.00 in cost. The model number is Teledyne # 712-12.